…would ya look at all that food! So much food. Glorious food, indeed. According to the developer, aspiring restaurant owners will be mixing up more than 180 dishes, which is quite the addition from 30 in the first game. That and… did I mention the new look? Super slick visuals and 60 FPS (because we all know food is best when served at a high frame-rate) to really help players get into the groove, as they work their way back to the top. Oh, and for those who don’t fancy doing the bottom-to-top-of-the-business bit again, Chef for Hire is where it’s at – travel the world, help other restaurants, and so on. Groovy. That said, the promise of a 60+ hour campaign mode is pretty darn alluring in my books, as I had a blast nailing key combinations in the first game to serve customers exactly what they wanted – and do the odd dishes. Even more so since it seems they’ve realized how dangerous it is to go alone: Cook, Serve, Delicious 2! will feature a co-op mode (local only though, unfortunately), allowing players to experience the entire journey with a friend. If the thought of deep frying, pouring drinks (alcoholic and non-), while cooking up all kinds of dishes for the hungry masses sounds enticing, you may want to keep an eye on this one as its release isn’t far away. Until that day is upon us however, why not take a look at the trailer below, or… check out the original? Wouldn’t hurt to hone your skills for the sequel! 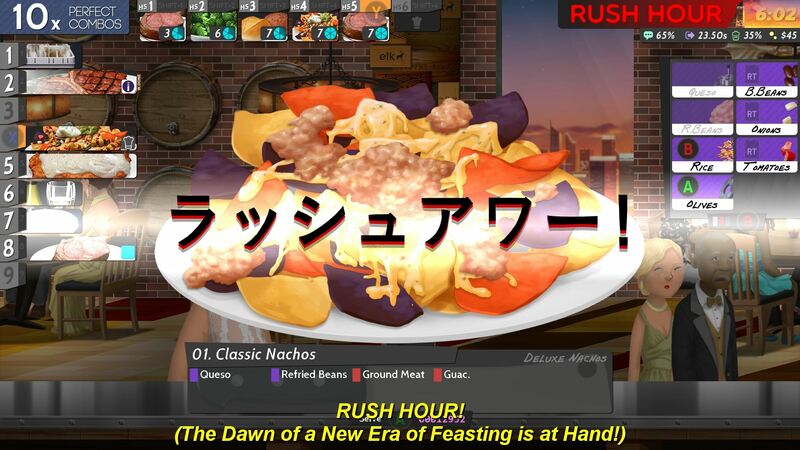 Cook, Serve, Delicious 2! will be setting tables on Steam come August 24, with a $12.99 price tag.